Horse racing fans! Get ready with your rodeo suit up for next weekend's 2019 Pegasus Cup at Gulfstream Park. It is going to be a cloudy day at the track for this winter season with an average of 19 degrees--the coolest month in Florida. This may be a usual season for Americans but this will be a superb change of climate for the horse racing friends from Southwestern Europe that is used to cold weather. Some light rain will come in Sunday but definitely just a partly sunny and cloudy with a range of 15 to 25 degrees the rest of the week. Good weather for the Pegasus World Cup Championship Series that will now inaugurate their first Pegasus Cup Turf Invitational. With the usual 11/8 miles dirt race, the added 1 turf stakes to this year's race-day activities is a 1 3/16 miles turf race that aimed to attract and showcase 12 of the best older turf horses from across the globe with a whopping 16 million dollar purse. The Turf Invitational will debut with a $7 million money bag with $3 million awarded to the winner. The usual Pegasus World Cup Invitation will now offer over $9 million with a $4 million prize waiting for the reigning winner of the 12-horse field. The money on the bank keeps on coming as the Stornach Group will generously offer a million dollars as a bonus to the winners of both The Pegasus World Cup Invitational and The Pegasus World Cup Turf Invitational. They will also introduce a new race day wager called The Pegasus Pick 24. Take in mind that knowing about the weather is very important as it is a big factor for both dirt and turf track surfaces. This is just one of the many tips_ for handicappers to know the fundamental difference and which horses are likely to win in the game-changing Pegasus series. The amount of rainfall defines the level of challenge for both dirt and turf surfaces as it will create impact and mess with the actual speed capability of a horse. A dirt track becomes sloppy and a turf surface becomes very hard in conditions like this. Thankfully and hopefully the weather next weekend will stay the same as forecasted and can't complicate both races. 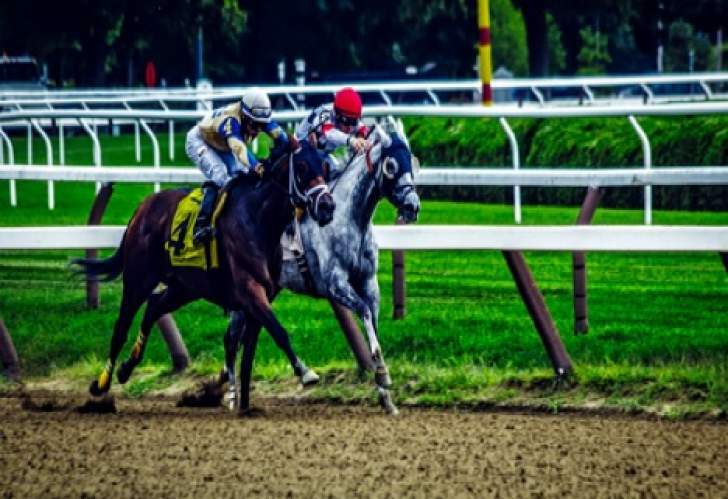 An ample knowledge and keen observation before and during the race day will be a great factor in the betting strategy of loyal and new players on field and online. A bettor should also consider the capacity of a thoroughbred horse in both tracks since in this series, the Stornachs has given quite an exciting new challenge for horse racers by adding up the said additional million for the superstar who will win in the usual dirt race and in their first turf race invitational. Pegasus World Cup is the world's richest race where you can bet on the Grade 1 stake race for four-year-old and upwards thoroughbred horses that everyone has been looking forward to in years. Normally, the racers are the victor and the second placer of the Breeder's Cup. Colts and Geldings which will carry 124 pounds (56Kg) and fillies and mares will get a 3 pound allowance. Frank Stornach, who is the brains of the whole group, announced the idea of the race at the Thoroughbred Owners Conference at Gulfstream Park in 2016 that lead to a successful inaugural Pegasus World Cup in 2017 crowning the horse of the year Arrogate after a commanding performance. He had held the title as the richest race in the world for several years and now on it's developing third year. Back to the wagering scheme, The Pegasus Pick 24 will provide fans with the chance to bet on the exact finish order for both the Pegasus World Cup Invitational and the Pegasus World Cup Turf Invitational. A $5 million bonus awaits the lucky fan that hits on the Pegasus Pick 24. This feature at the Pegasus itself makes the odds be seen clearer than the players expect it to be with the help of TVG's betting strategy exclusively for their members. TVG.com, an online horse racing expert hub, also provides a searchable list of all horse racing track lists, results and payout info from around the country and the world for the convenience of your betting scheme. The odds for the Pegasus Cup will be determined on the night through a method known as Pari Mutual betting which actually means "amongst ourselves". This is the best way to describe Advanced Deposit Wagering (ADW) which is the betting type of TVG. Come in to this year's Pegasus World Cup Championship Series armed and ready by signing up your membership at TVG.com today!